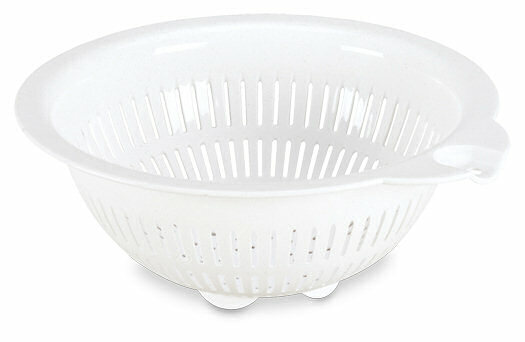 Make draining and straining easy with the Colander. It offers slits for draining and a large flat rim for gripping or resting on the edge of a pot. A convenient hole in the rim allows for storage on a hook. 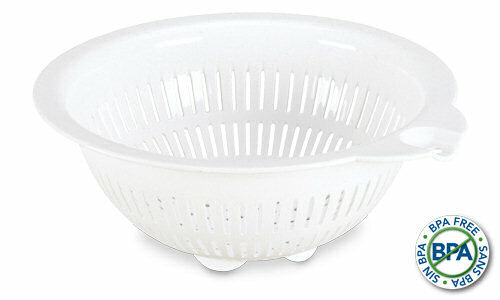 This colander is durable and dishwasher safe for easy cleaning. When not in use, the colanders stack securely creating more efficient storage space in your home. 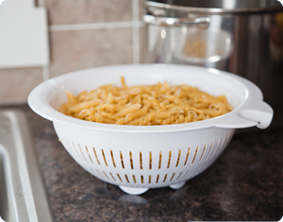 This colander is a huge kitchen helper and is ideal for straining pasta, washing fresh and canned fruits or vegetables, and other kitchen activities. All Sterilite food preparation products are BPA-free and phthalate-free. The overall dimensions of this item are 11 3/4" L x 10 7/8" W x 4 3/8" H.
Overall Assembled Size: 11 3/4" x 10 7/8" x 4 3/8"